Country Manager in Armenia since June 2017. Mesrop has more than 14-year experience in the financial and banking sector in Armenia. Most recently he spent about 4 years in one of the biggest banks of Armenia as Deputy chief risk officer. 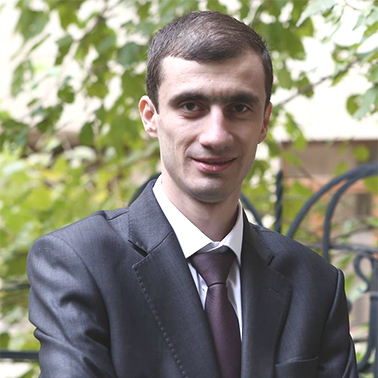 Mesrop holds PhD degree in economics, and he has more than 10 year experience as a lecturer in Yerevan State University.